In 1970, I started working as a Member of the Technical Staff at the Santa Barbara Research Center. On the side, I wrote a man-in-the-street interview column for the Goleta (CA) Valley Sun newspaper. I left scientific work at the Santa Barbara Research Center to write a book on the rich and famous in Montecito, California. Then I tried to get work as a television comedy writer, with little success. I wrote comedy skits or sketches from 1971 to 1974, with the hope of selling them to the various comedy-variety TV shows or to perhaps get a job with a show as a writer. In 1974, I moved back to Milwaukee, Wisconsin to became a stand-up comedian with my own show 3DTV. 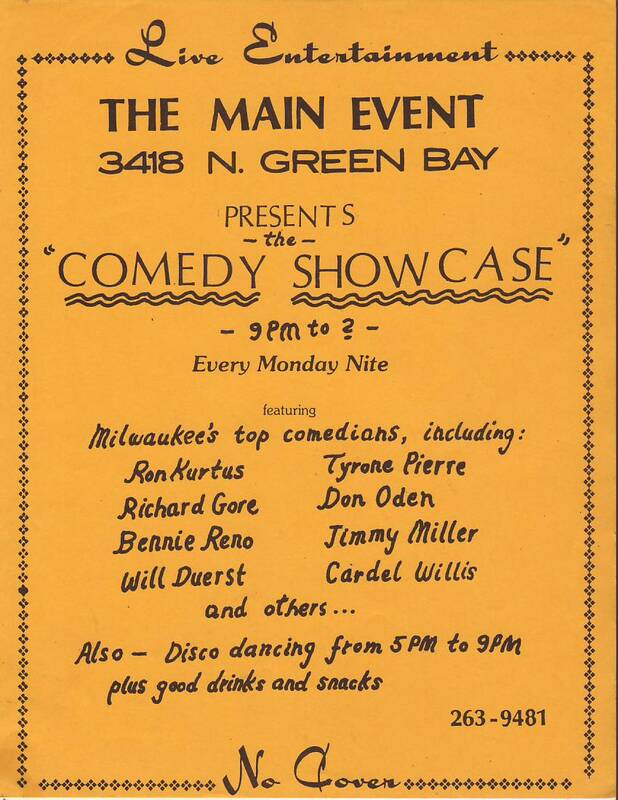 In late 1974, a comedian friend Pete Hefty and I started up the Comedy Showcase at the Rusty Nail in downtown Milwaukee. 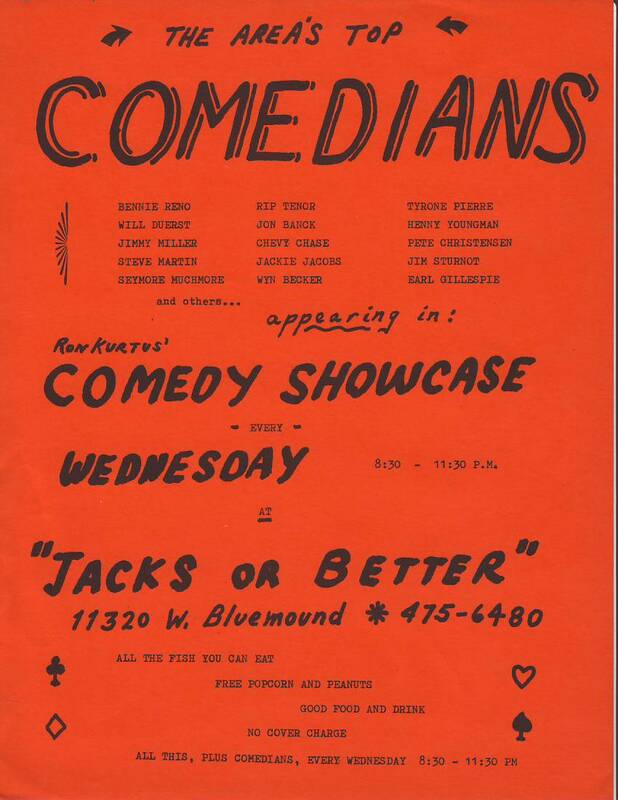 In 1975, after several months of success running that show, as well as performing around town, we moved to Los Angeles to break into comedy performing there. April 2, 1975, to earn a living, I started selling cars at Hauter Ford in La Canada. Later got a job selling new cars at Star Lincoln-Mercury in Glendale. Had comedy showcase across from Universal Studios. Not much success. January 7, 1976, Quit Star Lincoln-Mercury. Tried to do some comedy. Working on a humorous lecture act, which I gave around town. March 5, 1976, got a job at Burbank Lincoln-Mercury, which was near where I was living. Giving talks around town. Got a job at Albertson Oldsmobile in Culver City. Got an apartment on Bevery Glen Blvd. 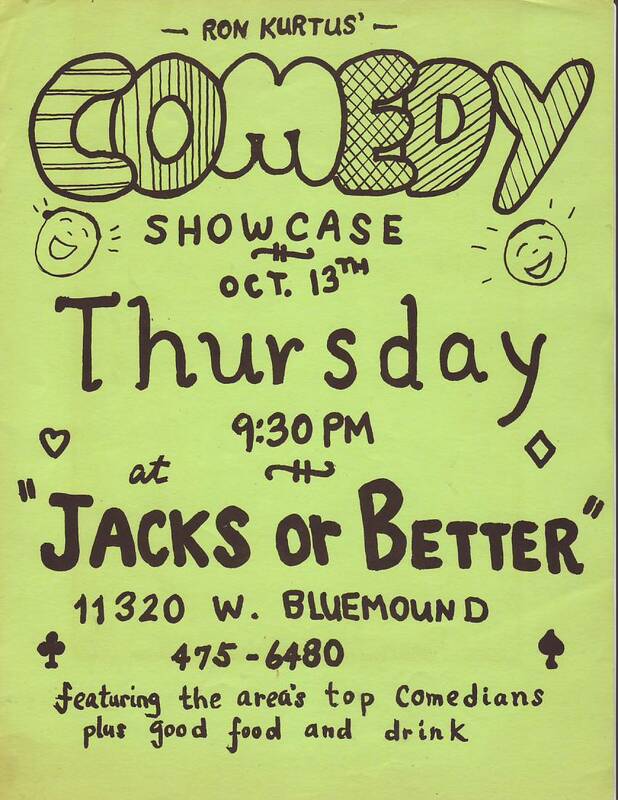 In 1978, I started the Comedy Showcase at Jack's or Better restaurant in Wauwatosa. Got our show in Summerfest. Summerfest flyer - PDF <<< maybe change to jpg. Also, find other info.